Parks Associates today announced the topics for the 14th-annual CONNECTIONS™ Europe: Strategies for the Smart Home and Consumer IoT, with a core focus on the advancements and growth of smart home, security, connected health, and energy management solutions in Europe. 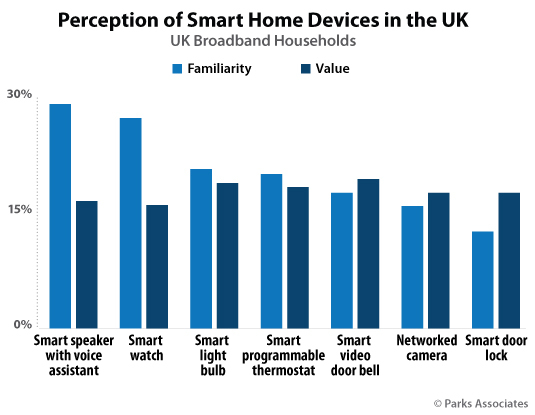 Parks Associates research shows 12-14% of UK broadband households say they are very familiar with networked cameras or smart door locks, but a slightly higher percentage of households consider the benefits of these devices to be very valuable. Early sponsors include Alarm.com, ULE Alliance, and Universal Electronics Inc.